Assessing your study needs as part of the Disabled Students’ Allowance (DSA) process. Have you applied to go to University or are you currently studying a Higher Education course? Do you have additional study or support needs? If you have answered YES to both of these questions you may be able to get some extra support. You do not have to study at Leeds Beckett University to attend our Assessment Centre. We provide Study Needs Assessments to assist you in applying for Disabled Students' Allowances. We assess potential or current students with a range of disabilities including autism, specific learning difficulties, mental health conditions, long term health conditions and physical conditions. Our experienced assessors aim to ensure our assessments are of the highest quality to ensure each individual student has access to appropriate support. We are accredited by Disabled Students’ Allowances Quality Assurance Group (DSA-QAG) and a member of the National Network of Assessment Centres (NNAC). We have a range of appointments available Monday to Friday all year round, please let us know if you have a preferred day and time. Unfortunately we are unable to offer evening and weekend appointments. A Study Needs Assessment is a one to one discussion with an Assessor. The assessment lasts approximately 2-3 hours. During the discussion we will try to find support strategies and reasonable adjustments to enable you to fully participate in University live. 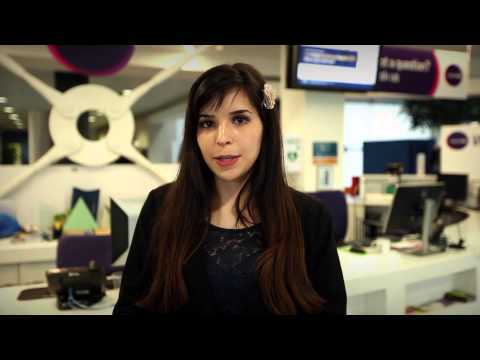 Student Finance England - What are Disabled Students' Allowances? Plus Icon How can I apply for Disabled Students' Allowance (DSA)? You will need to submit an application form and evidence of your disability to your funding body. The following link provides a useful guide explaining the process in more detail, and will assist you in working out who your funding body is: www.dnamatters.co.uk/resources/dsa/intro. You can also contact the Disability Advice Team at your University or College who will be able to assist you. Plus Icon How can I book my Study Needs Assessment? You can post or drop off copies of the documents, or you can email scanned copies to us. Please ensure that you retain your original documentation and provide us with copies only. If you have a preferred date and time in mind for your appointment, please let us know on your pre-assessment questionnaire. If not we will offer you the next available appointment. We will confirm your appointment date and time upon receipt of your information (your evidence, DSA1 letter, and completed pre-assessment questionnaire). Plus Icon Where is the Centre? Our Disability Assessment Centre main office is located in Priestley Hall, Leeds Beckett University, Headingley Campus, Leeds, LS6 3QS. The Centre is accessible and we have visitors and accessible parking available should you need us to arrange this for you; please make us aware of this when booking your assessment if necessary. We do also offer appointments in Calverley Building, City Campus, Leeds, LS1 3LE. Unfortunately we are unable to offer visitors or accessible parking at this campus. There are buses that run from the City Centre to the Headingley campus and further information can be found within our downloadable Campus Maps. Please also let us know should you have any other needs (e.g. communication needs) to enable you to participate fully in the assessment. Plus Icon What happens at my Study Needs Assessment? The purpose of your Study Needs Assessment is to identify appropriate strategies and assistive technology to support you in your studies. Your Assessor will discuss in detail with you the impact your condition has on your studies and talk to you about the specialist equipment, assistive software and support available to you at University. We know that each person's disability can affect them in different ways and so your views are a very important part of the process to ensure that the recommended support is tailored to you. You will have the opportunity to try out some equipment and discuss situations where non-medical helpers may be used; this may include study skills tuition or support from a lab assistant. We encourage you to ask questions or suggest strategies or equipment that you feel you may benefit from. The Assessor will discuss these with you and consider them in relation to the DSA regulations and guidance. Plus Icon What happens after my Study Needs Assessment? Your Assessor will produce a report within ten working days of the assessment based on your discussions and the recommendations you have agreed. Your funding body will then consider the recommendations made within the report and will write to you to tell what has been approved and what you need to do next. This Wheel of Apps document provides details of some apps you may find useful for your studies. It is divided into specific areas of study. Many of these apps are compatible with Android and IOS as well as Apple. DnA (Diversity and Ability) is an external website that provides some useful resources in relation to apps and software that you may find useful in your studies. Did you know Texthelp, Mindview & Inspiration are available on all University computers. If you have had your assessment and can’t wait to start using the software, you can attend any of the Skills for Learning workshops and start using the software on the University computers in the meantime. Check the Skills for Learning leaflets or website for further details and booking information. If you are studying elsewhere please check with your Library what assistive software is available to you. Zotero is a research and referencing tool that automatically senses content in your web browser, allowing you to add it to your personal library with a single click. Box of Broadcasts allows you to watch, record, create clips, search for upcoming programmes by title or keyword, compile favourite shows into playlists and share them with others. Nexis allows you to conduct full-text news and business research across over 35,000 national and international news titles. You can use Press Display to access issues of publications in their original form, allowing research of both content and visual layout. Covers 1000 UK and international publications, including key newspaper titles. Access to the full text of The Times between 1785 and 2008. Articles are reproduced in original format, allowing you to research both content and visual layout. Infotrac Newsstand allows you to search both current and archive newspaper content. Includes a Topic Finder tool, which you can use to discover the context of your search term and uncover hidden connections. Other, more specialist news sources are available, particularly for historical research. Links for these are available through the Leeds Beckett University Library homepage or if studying elsewhere, you should check with your University Library. Dragon is a speech recognition software available for the PC. Dragon transforms the PC experience by turning your voice into text and actionable commands much faster than most people can type. By making navigation and text-entry tasks dramatically faster and easier. The Olympus DM670 is a Digital Recorder that enables you to take high quality audio recordings. Olympus ME34 Compact Zoom Microphone is a directional microphone that you can use with the Olympus DM670. The Olympus DM7 is a Digital Recorder that is very similar to the DM670, but has some additional functionality that enables it to be used with an iPad, Tablet or Mobile Phone. With the Echo smartpen record everything you write, hear or say. Replay your meetings or lectures simply by tapping on your notes. Transfer your notes and audio to your computer via USB cable and Echo Desktop will save everything for fast, easy access to what’s important. Echo smartpen – recording headset (for use with the smartpen) is useful when recording in larger spaces. "I would like to thank you for all the help and for getting me the training and equipment. The technical and study skills support has been outstanding and feel confident that my next essay should be more productive due to receiving support from your team and technical support. I wish I could have had this at the beginning, however I feel it's having a positive ending and a better future after my academic studies at Leeds Beckett. Again thank you." "Your help was overwhelming. I felt so much more determined to continue with studies and not let my disability get In the way, Thank you." "I felt at ease the whole time and massively helped me to clearly identify what I needed." "Thank you for taking the time yesterday for [student’s] study needs assessment. Both [student] and I were very impressed and pleased with the thoroughness of the process and your concluding advice. I just wanted to let you know that in all the years of seeking help for [student] I have never come across an assessment of his needs that was as thorough, detailed and individual as the one you undertook yesterday. It was excellent from start to finish (including the power point and pdf map info you sent prior to the appointment)! Thank you.! Sharon was so understanding and caring, listening to me throughout and making sure I'm comfortable. A real credit to her profession, I can't thank her enough!" "Everything- I felt comfortable and am excited about the potential help and support I can get, my only regret is that I didn't do it sooner!" Plus Icon What are the Disability Assessment Centre's key service standards? We aim to offer you an appointment within fifteen working days of you requesting an assessment and providing the information we need. We aim to produce your report within ten working days of your assessment. If you do not wish to see a draft report we aim to send the report to both you and the funding body within ten working days of the assessment, or fifteen working days if you have requested a draft copy. We offer a fully inclusive assessment fee. This means all work for the duration of your original course of study is covered. This fee is charged directly to your funding body. Plus Icon How can I provide feedback? We are committed to continuous improvement and your feedback is important to us. We will contact you after your Study Needs Assessment to request feedback and check how you are getting on. If you have a query about your report or the service you have received, or you wish to provide more general feedback, please contact us. Our Disability Assessment Centre follows the University’s policy on complaints and a copy of the policy is available here. Kirsty Waiting is the Disability Assessment Centre Administrator. Kirsty joined the team in February 2015 from the Faculty of Business and Law where she worked as a Course Administrator. Since joining the team Kirsty has transformed the booking and administrative processes to ensure students contacting the centre receive timely and appropriate information throughout the Study Needs Assessment journey. Kirsty’s interest in enabling disabled students to access their course independently began when she worked for the Open University. Kirsty also adds an international element to the team as she is originally from Durban in South Africa! Sharon Almond is an Access Advisor and Study Needs Assessor and has worked at our university since March 2015. Sharon previously worked as an Access Consultant at the RNIB where she regularly undertook access audits, design appraisals and training in relation to the built environment. Sharon’s recent work has involved her in learning more about the assistive technology that is available for students to use to enhance their learning. This includes software that is available through the university systems, software that can be accessed via Disabled Students Allowance and apps which are increasingly being used to support teaching and learning. Sarah Hinman is an Access Advisor and Study needs Assessor who joined our university in May 2016, having previously worked as an English and Learning Support teacher at Notre Dame Catholic Sixth Form College in Leeds. She taught students with a range of disabilities and study needs and was the specialist teacher for students on the Autistic Spectrum. She was also a personal tutor, Oxbridge and Russell Group Universities mentor and Internal Verifier. Her work had increasingly involved the use of assistive technology and she led an initiative to promote its use in teaching and learning. Sarah is an advocate of inclusivity and of fostering a positive and supportive environment which uses good practice and technology to benefit everyone. Nick Hatton is a Study Needs Assessor, who joined our team in March 2018. He has worked within the field of disability related support, education and accessible information for over 20 years and has extensive experience in the field of sensory loss, having worked for Action on hearing loss (RNID), RNIB and guide dogs for the blind, and various voluntary sector organisations within his home town. Nick is qualified up to level 6 in British Sign Language, and is classed as a native signer, due to growing up in a Deaf family. His previous role was for a Non-Medical Helper (NMH) Educational Provider as a non-executive director, where he was responsible for operational functions of the business, and has come to us with wide ranging knowledge of DSA quality assurance framework auditing and NMH provision. What happens after your Study Needs Assessment? We are currently conducting appointments within 15 working days of receipt of your documentation.